LOS ANGELES, Calif. /California Newswire/ — It’s that time of year again for iPhone and iPad users to give their device a spring cleaning and make it sleeker, faster and enable more free storage. To help clean up devices safely without risk of mistakenly deleting important data forever, iMobie brings iPhone manager AnyTrans to back-up iPhone/iPad before cleaning and iPhone data recovery software PhoneRescue as a life saver in case any data loss occurs. Thanks to the dual-protection, iOS users can enjoy a safe spring cleaning without worrying about losing data, like iPhone messages getting lost, photos disappeared, etc. It’s essential to back up iOS devices before doing spring cleaning, in case of mistakenly deleting important data. Regarding this, AnyTrans brings a full yet flexible backup solution. It backs up literally everything in iPhone and iPad, including photos, videos, music with playlist, contacts, messages, notes, and even imported music, books and images that are not included in iTunes backup. For those who just want to back up certain data instead of the whole device, AnyTrans works, too. It lets users preview all contents in their iOS devices, select and back up just what they want, giving them 100% flexibility and saving much time for them. 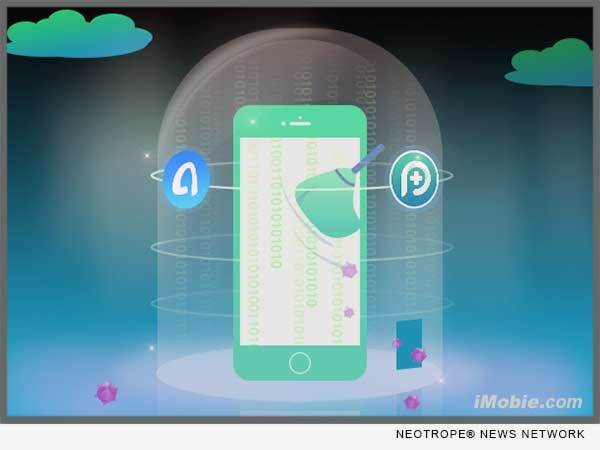 In case data loss unfortunately occurs during spring cleaning, PhoneRescue comes all the way to save iOS users’ life. With the highest recovery rates, it is capable of retrieving up to 25 types of data from iTunes/iCloud backups, as well as from iPhone/iPad directly if there is no backup available. Via it, users can fully preview lost data, and select to retrieve needed messages, notes, contacts, call histories, and more data directly to their iOS devices. Better yet, no overwriting of any currently existing data on device and all recovered data will be well organized in the right place for easy reuse. iMobie Inc. was established in 2011, and located in Tianfu Software Park (China), a place gathering a great many talented software engineers. Information: https://www.imobie.com/.